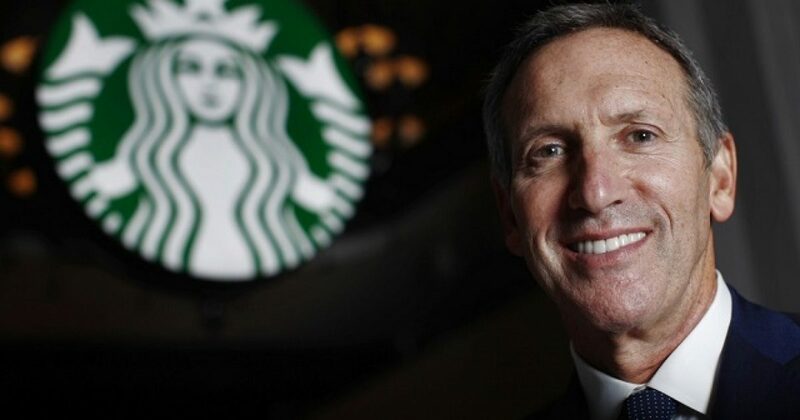 Howard Schultz is a progressive, ergo a Democrat. But now he wants out. So now Schultz says he’s an Independent. And who could blame him, after watching the tactics of his former party? Sure Schultz pretends to chastise both parties, but that’s just cover. If that first poll were remotely true, every politician in the country would declare himself an independent. As for Millennials, they’ve been trained to have the intellect of monkeys. Next, remind me how many Independents voted for Trump in the 2016 President Election? According to IVN, Independents flipped the election to Donald Trump. 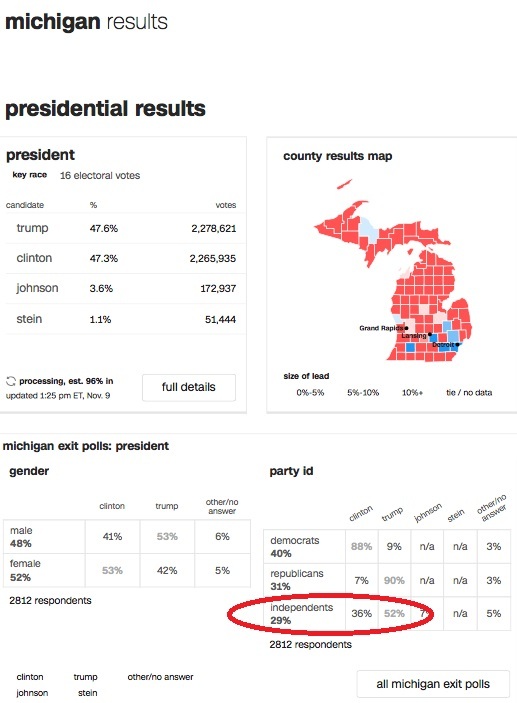 Below are the results for Michigan. And Trump carried 52 percent of the Independent vote. These were the results in other states as well. 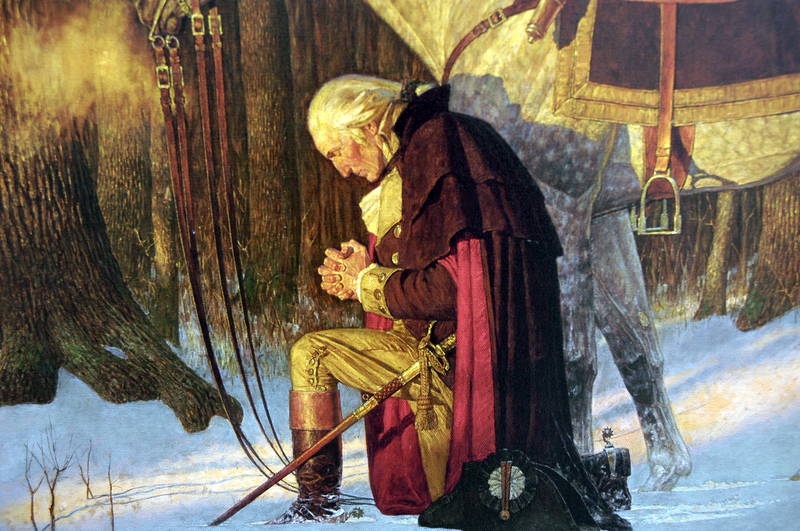 Nevertheless, the king of social justice through coffee believes America needs another choice. Not a single thing mentioned by Schultz is not being address effectively by Trump. He mention unaffordable healthcare, but you can bet he was all-in on Obamacare. And like most Leftists today, Schultz has selective memory on why people still can’t afford healthcare. Moreover, many actually fear going to the doctor, moreso than when they had the insurance Obama promised they could keep. And what of these “disappearing middle-class jobs”? Is Schultz stuck in a time-warp. Obama lost over 5 million jobs in his first two years. And Trump created well over 4 million in his first two years. Obama boasted that Trump couldn’t save Carrier, nor could Trump bring manufacturing back to America. Trump easily accomplished both. I’d love for Schultz to explain what he could do better with his self-described centrist policies? As for the broken system, no president in history has done a better job of fixing the broken system than Trump. He began by calling it was it is…the swamp. Thankfully, Trump now drains the swamp. All this said, I hope Schultz runs. He won’t impact Trump at all, but instead will siphon votes from Democrats. I give the man credit for disavowing himself from the Democratic Party, one I’m sure he proudly backed and served for decades.